Our Couples with Dogs ornaments are the perfect addition for your Christmas tree! 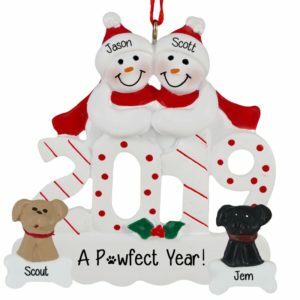 If you are a couple, or know a couple who wouldn’t DREAM of going anywhere without their tail wagging companion, then we have a great gift idea for you! 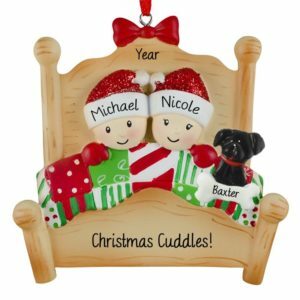 Choose from one of our many couples ornaments, and then we’ll see to it that Fido is along for the ride. Even if you have more than one dog, we have you covered. 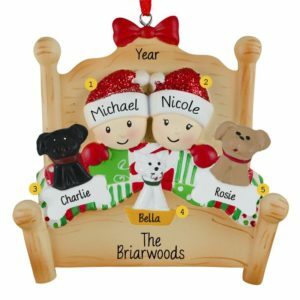 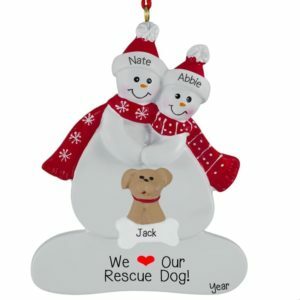 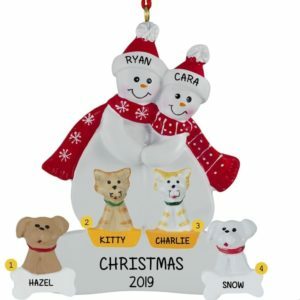 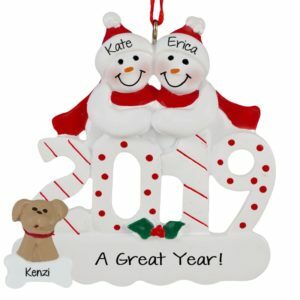 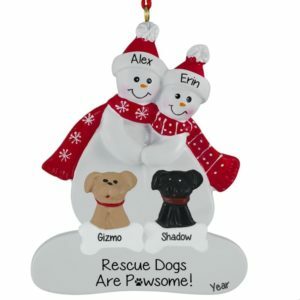 Some of our ornaments are so customizable that you can pick from blondes and brunettes, as well as the dog’s color. We have interracial and ethnic couples as well. This is surely to become a ‘front and center’ ornament on the Christmas tree, year after year. It’s a keepsake that will be appreciated and loved. 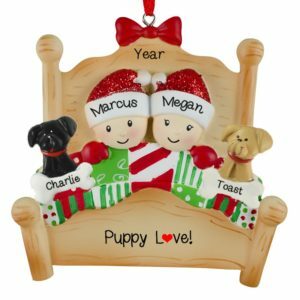 If you know a couple who has bought a new home, moved out of state, or is expecting a baby, we can make sure their beloved pet is right there with them. 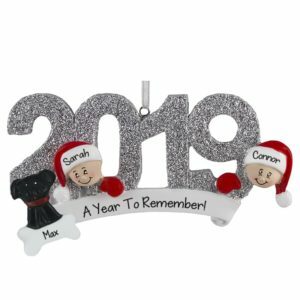 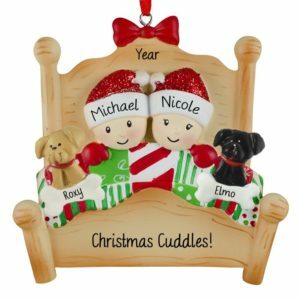 You will see why this is a best selling category at Personalized Ornaments For You!